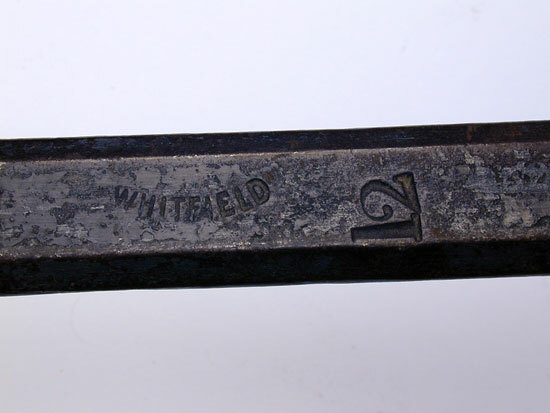 This is an excellent example of a size 12 Whitfield fry pan. 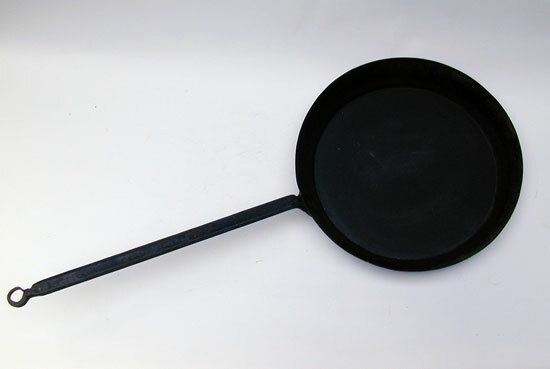 This maker likely from England, made a wide variety of sizes of these pans. Examples as small 0000 to as large as 9 are known. This size is uncommon. 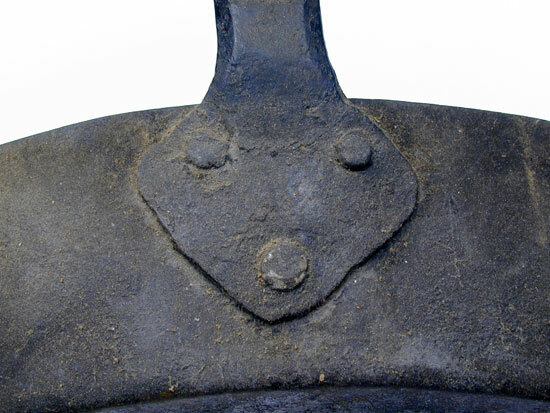 The handles are wrought with bevel edges and the pans are formed from sheet iron. 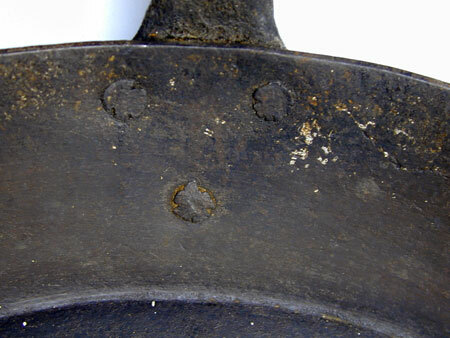 The handles are riveted to the pan. 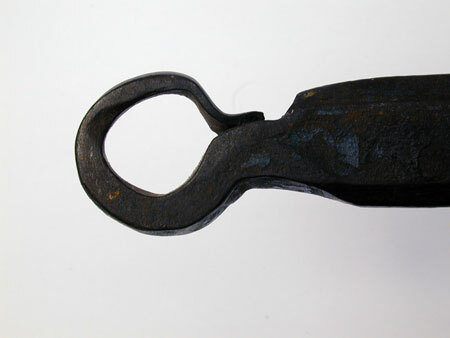 Note that the handle still retains some of the "heat bluing" from the manufacturing process. 34" long with an 15" pan. In excellent condition.